The actress attended the Los Angeles premiere of her new film "Little Woods." Often, the key to a stylish look is balance or a "less-is-more" approach, but lately, monochromatic, maximalist and bold ensembles have been the aesthetic du jour across the red carpet and street style crowds. 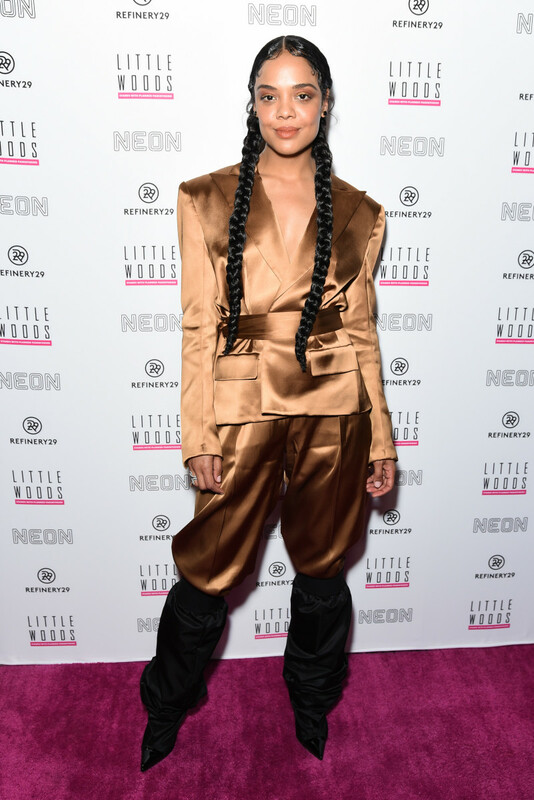 On Monday night, Tessa Thompson was the latest celebrity to try this trend at the premiere of her new film "Little Woods" in Los Angeles with a matching metallic suit and makeup. Dressed by stylist duo Wayman Bannerman and Micah McDonald, Thompson wore a copper-colored Alexandre Vauthier suit with a belted waist and statement shoulders, paired with super-slouchy pointed black boots. Contradicting silhouettes are at play here, and Bannerman and McDonald were able to find a sartorial balance between tailored and baggy with ease. The rest of her outfit included stud earrings from Harry Kotlar, an AS29 diamond ring and an Edie Parker clutch. The actress attended the London premiere for 'Creed' in a red, white and blue sequined gown. The actress attended the premiere of HBO's upcoming series "Camping" in Los Angeles. 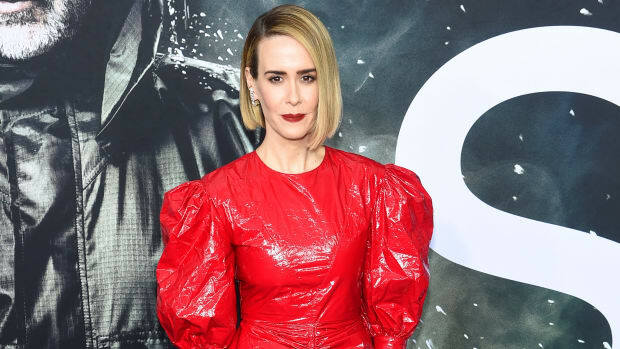 The actress attended the New York City premiere of "Glass" in a Pre-Fall 2019 look. Damn, is that a good look.